From I-471, West on Cowens, left on Washington, left on E 5th, left on Park, right on Lexington Ave, right on Providence, right on E 4th. START YOUR INVESTMENT PORTFOLIO HERE! Prime Mansion Hill spot close to Levee and fabulous dog park. Major updates: Roof, dual-zoned heat, & electrical. 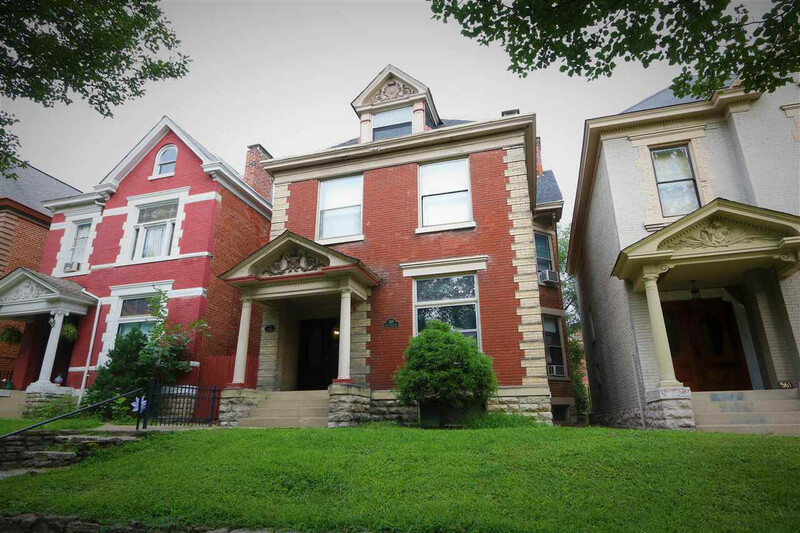 Orig character w/ wood floors & trim, stained glass, pocket doors, large rooms, + more. Currently set up as 4-unit income property but could be reconfigured in a number of different ways, offering the new owner room for creativity and expanded investment potential. 24-hr notice for showings. See also MLS#519080.